Adopting a new puppy brings incredible joy to your life, but is also a very serious commitment. Raising a puppy is a team effort and Syosset is here to do our part. Syosset Animal Hospital provides the educational resources and veterinary support necessary for your newest family member so he/she grows up healthy and strong. Vaccinations are very important in puppies, whose immune systems are developing and need protection to stay healthy. New puppies must follow a strict vaccination schedule to ensure they are properly protected and develop their immunities. Syosset Animal Hospital offers a complete range of standard vaccinations, as well those specific to New York area diseases. Young animals are constantly growing! Building these new tissues effectively requires specific nutrition. Specially formulated food helps support muscle, bone and organ growth in puppies. Syosset Animal Hospital offers dietary counseling and brand recommendations to all of our patients. The veterinarians and staff at Syosset Animal Hospital will educate you on general puppy care, including housebreaking, training, parasite prevention, and much more. If you have a new puppy, please schedule your first appointment with Syosset Animal Hospital. 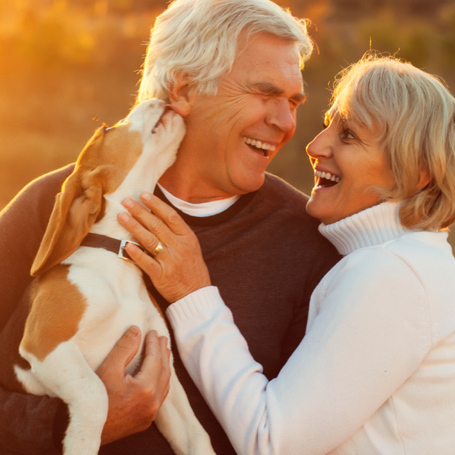 Our team looks forward to building a lifelong relationship with you and your pet. Syosset Animal Hospital also offers microchipping for your pet, and for the convenience of our patients we proudly use chips that are accepted for international travel.